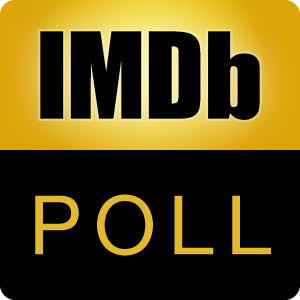 Which of these fictional or real places from IMDb's top rated movies would you most like to visit? You would be visiting at the time which is shown in the movie. After voting, you may discuss your tour plan here. Middle Earth - 'The Lord of the Rings' Franchise. Gotham City - 'The Dark Knight' Franchise. World of Dreams - Inception (2010). River Kwai During the Construction of Burma Railway - The Bridge on the River Kwai (1957). World of 'Star Wars' - 'Star Wars' Franchise. Shawshank Prison - The Shawshank Redemption (1994). Hong Kong - The 'Infernal Affairs' Franchise. Wild West - Sergio Leone's 'Dollars' Franchise. The Corleone House - 'The Godfather' Franchise. Fight Club - Fight Club (1999). The Mental Institution in Oregon - One Flew Over the Cuckoo's Nest (1975). Rio de Janeiro During 1960s to 1980s - City of God (2002). Normandy During WWII - Saving Private Ryan (1998). Wormhole & Blackhole - Interstellar (2014). Rick's Café Américain - Casablanca (1942). Bates Motel - Psycho (1960). Egypt - Indiana Jones and the Raiders of the Lost Ark (1981). The Past and the Future - 'Back to the Future' Franchise. Ancient Rome - Gladiator (2000). Cambodia During Vietnam War - Apocalypse Now (1979). Overlook Hotel - The Shining (1980). Manhattan - Once Upon a Time in America (1984). German U-boat During WWII - Das Boot (1981). Mount Rushmore - North by Northwest (1959). Scotland During the War of Scottish Independence - Braveheart (1995). Arabia During WWI - Lawrence of Arabia (1962). Imperial College of Engineering - 3 Idiots (2009). Los Angeles - La La Land (2016). 1980s Miami - Scarface (1983). Temple of the Holy Grail - Indiana Jones and the Last Crusade (1989). "The Treasure of the Sierra Madre" Tim Holt and Humphrey Bogart 1948 Warner Bros.
Sierra Madre Mountains - The Treasure of the Sierra Madre (1948). Hitler's Berlin Bunker - Downfall (2004). Ofelia's Fantasy World - Pan's Labyrinth (2006). Medieval Period of Japan - Ran (1985). Princeton University - A Beautiful Mind (2001).